Zach Clayton was born on June 22nd, 2000. 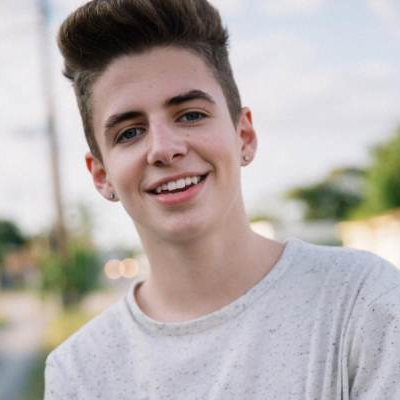 He is a YouNow personality with more than 1.3 million followers of his BruhitsZach web personality. You can also find him on Instagram, Snapchat, Musical.ly, YouTube, and Twitter. His goals are to continue to entertain on YouTube as well as pursue acting on TV, in movies, and in commercials. He has nearly 700k subscribers with over 27 million views on YouTube. He adds a new video each Monday. He has been playing soccer since he was just three years of age, playing for his school and the Lonestar Soccer Club. He had planned to be a professional soccer player, but couldn’t juggle it with his growing online popularity so is now focusing on his social media career. He was a victim of bullying at a young age, so he now uses comedy to address the topics of racism and bullying. His followers are affectionately known as ZeBruhNation. He enjoys meeting his fans, so he sets up meet & greets. He particularly enjoyed being part of the June/July 2015 Digifest and the 2016 TLG Summer Tour. He gets his education online. One fact that may be a bit TMI is that he is uncircumcised, according to one report. Zach lives in Round Rock, Texas with his family, including his mom Aprill who acts as his manager. It was dating Musical.ly star, Baby Ariel, but they broke up after Vidcon. Many of Zach’s friends have also gotten involved with social media and are likewise growing in popularity.